ANTIOCH, Calif. (KFSN) -- The Antioch Police Department posted photos of an unusual homeless camp on their Facebook page. A concerned citizen reported a transient subject lowering a bike off the top of the Amtrak Station. 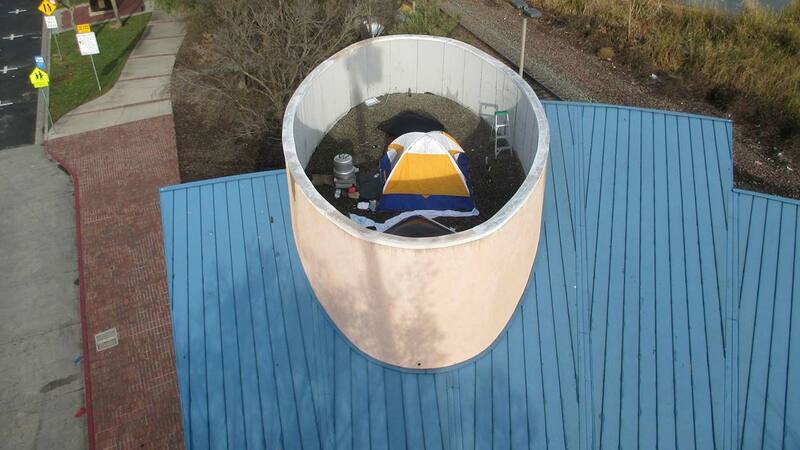 Officer Lenderman from the Antioch Police Department determined someone had set up an unsafe camp on the roof. Public Works offered to put Officer Lenderman in a boom truck and put him on the roof. Due to safety concerns, the camp had to be immediately abated. The Police Department says homelessness is not a crime, and they try to get their homeless citizens into services so they can have a stable environment.